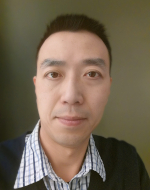 Mr. Wang has over twenty-four years of experience in import and export business between China and the countries all over world, especially with USA and EU countries prior to joining US-Asia Links. Mr. Wang has built up a strongly relationship with a full range of Chinese suppliers including furniture, arts and crafts, seasonal items, tableware, food, electronics, and other goods. With good relations with different connections from China, Mr. Wang has great capability to promote and facilitate the cultural exchanges and economic cooperation between the US and China, as well as to improve the quality of life and opportunities and the preservation of Chinese cultures in main stream America. Mr.Wang studied at Fuzhou University where he received a B.S. in machine manufacturing.